The agreement was signed for Renault by Jean-Christophe Kugler, Senior Vice President, Chairman of the Euromed-Africa Region, in the presence of Algerian President Abdelaziz Bouteflika and French President François Hollande. It provides for the establishment of a factory at Oued Tlelat, southwest of Oran, for the production of Renault Group passenger cars and LCVs aimed chiefly at the local market. The vehicle to be manufactured initially will be New Symbol, which will not be sold in Europe. Oued Tlelat was chosen because of the benefits it brings to the project, including its road network, qualified workforce, proximity to the port of Oran, infrastructure and quality land. The plant’s annual production volume will start at 25,000 vehicles/year (7 vehicles/hour) and will ultimately be increased to 75,000 vehicles/year (15 vehicles/hour), based on market response. 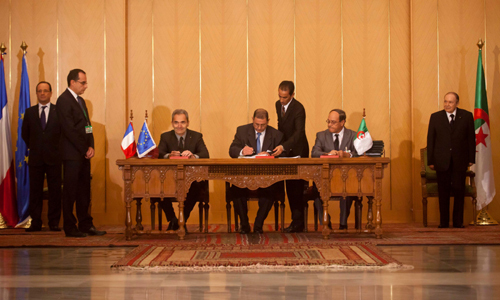 Local content in cars will also be gradually stepped up to develop the automotive industry in Algeria. This content will be supplied through investments inside the production plant (body shop, stamping and painting) but also outside the facility, notably by creating a robust network of local subcontractors with the support and expertise of Renault. This process has already begun with dialogue between Renault experts and potential local subcontractors, and will continue for several more years. 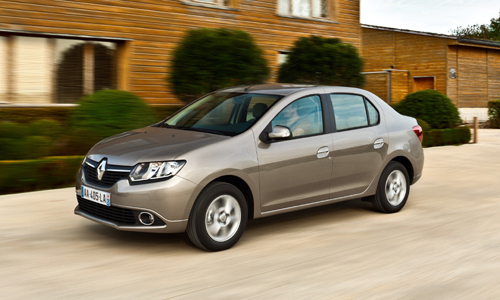 Training, which is one of the project’s keys to success, will be delivered using Renault know-how and technology.